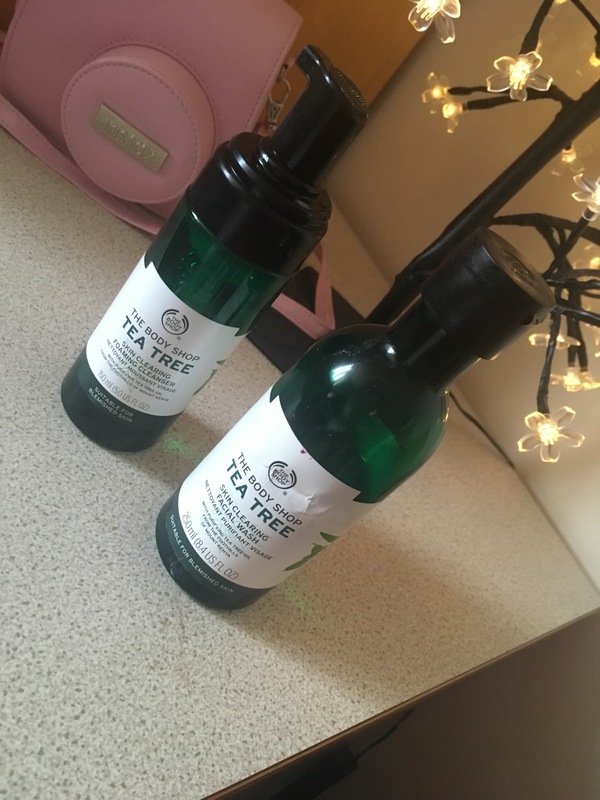 I’ve previously written a post on The Body Shop Cleansing Butter (look here) and when I was looking for new products from their collection I come across the Tea Tree face cleanser and face wash and just like every other beauty blogger I had to do a review, it’s only natural.. right? I’m sure you all know by now that I love trying out new skin care and seeing what works and what doesn’t work so well. When I came across these in store I was instantly interested in how beneficial it would be for my sensitive skin. I use these products together by using the facial wash to begin washing my skin and then follow on by using the cleansing foam twice. I do this twice to make sure that I have definitely removed all the makeup and dirt from the day. I’ve found that these products are good, i’ll give them that. However, there isn’t really anything particularly special about them. They don’t have an extreme scent of tea tree, it’s just right which is what I like about them as a lot of tea tree products really are overly scented with tea tree and I find it difficult to use them. I can definitely say that the face wash isn’t good at all for eye makeup, I find that I’ve still got to go in with some micellar water or eye makeup remover to fully remove all of my mascara and eyeliner. When looking for a face wash I like to find one that fully removes all of my makeup otherwise I feel like I’m paying a product that isn’t totally effective and that’s a waste. If you’re the type of person who doesn’t wear that much makeup and is looking for a cheap product to remove dirt and excess makeup then I totally recommend these and they’re specifically ideal for sensitive skin. Over the past few months I have accumulated a lot of new beauty products that I just had to share with you. My student loan is supporting my addiction to shopping and I’m so thankful to Student Finance Wales for helping me buy all these fantastic new items. Im just going to get right into it, there’s a lot! Get yourself a cuppa and sit cosy. You’ll be here a while. 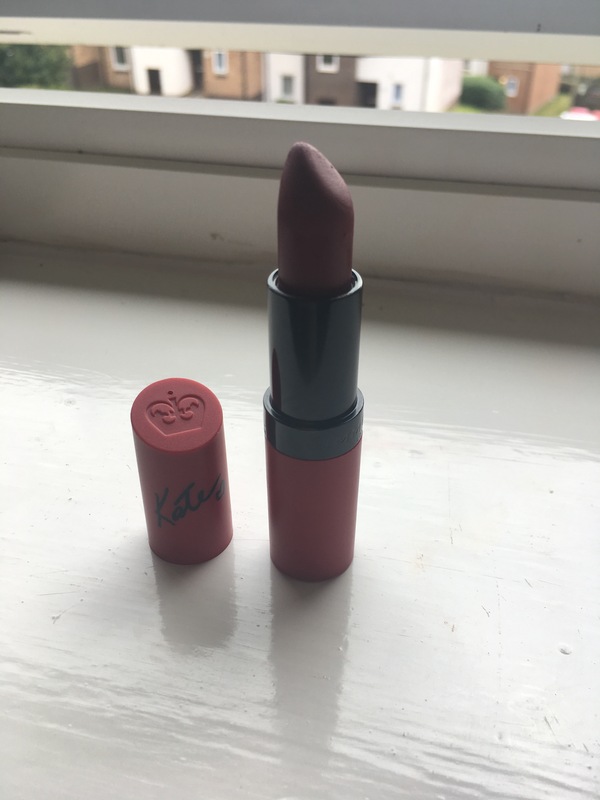 Starting with an repurchase because I simply cannot tell you guys how much you need this lipstick for the Autumn/Winter season. If you haven’t already guessed, it’s the Rimmel by Kate Moss 107. Ughhhh this lipstick is to die for. It’s literally the ideal lip colour throughout this time of year and I repeatedly fall in love with it every year. 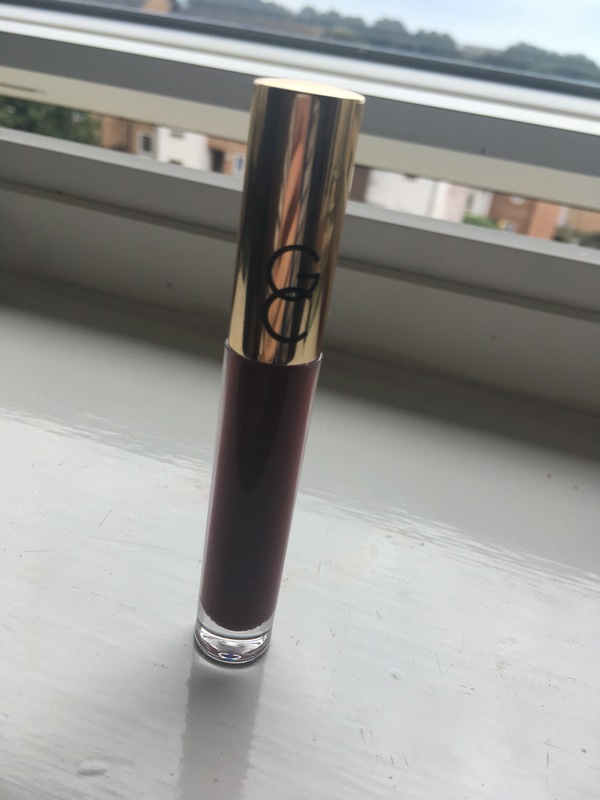 The colour is a beautiful dark red with slight purple undertones, it’s such a pretty wine colour and the formula is so creamy and buttery. For a super long lasting lipstick you can’t go wrong with the price, only £5.49 in Superdrug. Check it out here. I love this colour so much, it’s my current go to. 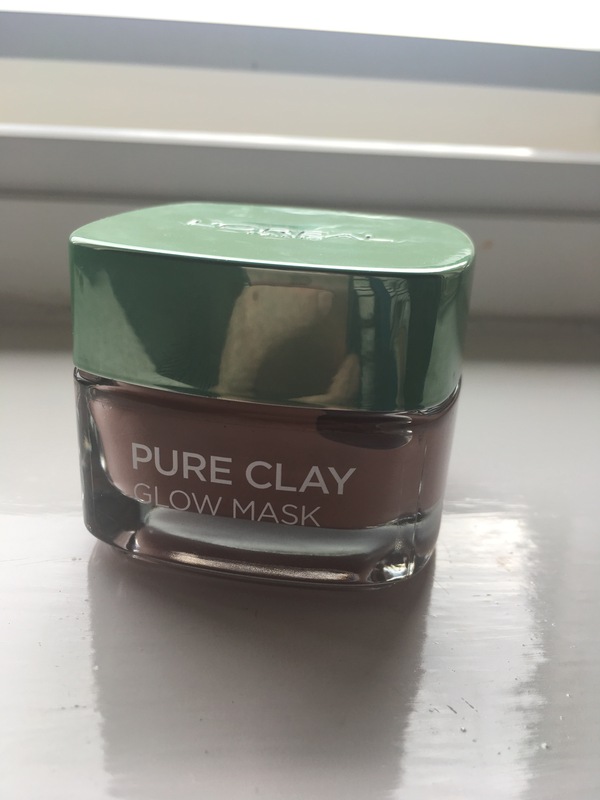 As we all know I love a good face mask and when I had seen L’Oreal had introduced them Clay Masks I’ve been super excited to try them. There are three types, red to exfoliate and brighten, green to combat oily skin and black to purify. Fortunately I’ve been able to test out all three masks and I loved them. I only used the green one on my t-zone but it made so much difference to how my skin looks and feels. It also helped my make up to sit perfectly on my face. The red is to brighten and exfoliate, it does exactly what it says. I also use the black one all over my face as it helps to to create a more clean and hygrated skin. My face is so soft and glowing after using the mask and it’s makes me skin so hydrated too. Check out here for the red mask, here for the green mask and here for the black. I’ll definitely be purchasing the black mask soon. 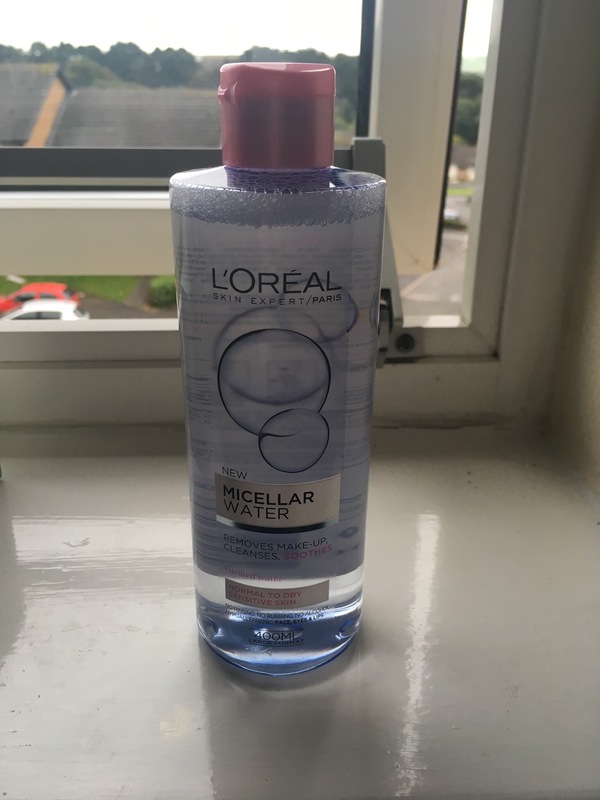 Keeping in theme with L’Oreal who recently introduced their Micellar Water. I’ve been a huge fan of the Garnier Micellar Water for over a year now and I’ve never found any other product as good as it. Until now. It’s designed to remove makeup smoothly and softly whilst hydrating the skin. It doesn’t pull my skin or irritate my eyes and it helps my eye makeup to rub off with no issues. It’s an absolute dream to work with. Check on Superdrug, here. Morphe Brushes are a popular brand and are promoted by so many bloggers and Youtubers. 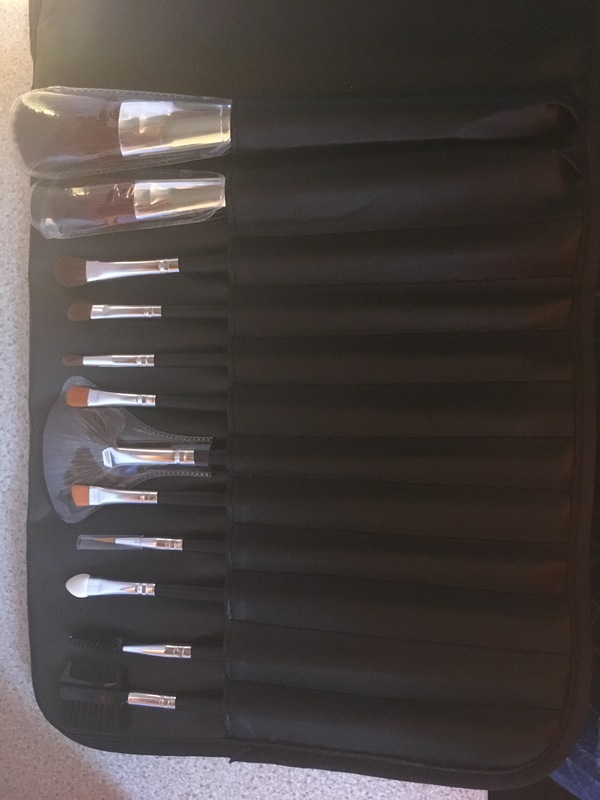 I come across the Morphe Brushes 600 set on Beauty Bay for £11.25, Look here. It has 12 brushes and comes in a pouch to store them. I think they’re a brilliant purchase and are a great contribution towards my collection of brushes. They’re so soft and easy to work with, definitely ideal for beginners. I personally love the powder brush as it distributes powder evenly across my face and doesn’t leave any streaks or lines. They’re a great buy! Another lip product that I bought is the Gerard Cosmetics lipgloss in Maneater. Check here, I got mine from Beauty Bay for £8.50. It’s super glossy and another colour that will be excellent throughout this time of year. It’s slightly darker than the Rimmel 107 but when combined together it creates the most perfect look. I don’t enjoy the gloss on it’s own, mainly because it causes such a mess when eating or drinking and ends up all around my mouth and looks like an utter disaster. Other than that, it’s got a beautiful formula and is soft on the lips. Really looking forward to wearing this throughout winter time. I also made a small order from The Body Shop. There was an online deal that took away £25 from a £50 order and included free delivery, how could I resist! I had so many things I wanted to buy but managed to only purchase four items. 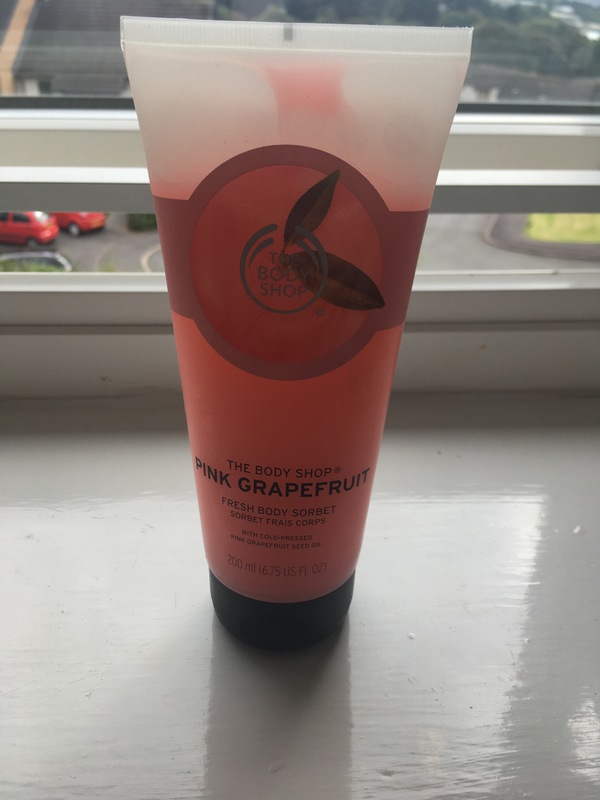 Firstly, the Fresh Body Sorbet in Pink Grapefruit, click here to check it out. I wasn’t entirely sure what this product was at first and I was so interested by it. I later discovered it’s a fancy moisturiser with a fancy name. It’s bloody lush though. I begun using this when I fractured my wrist and the cast was making my arm smelly (possible tmi? ), but it worked and it made my arm smell and my skin feel so soft. Eventually I started using it all over my body and it’s the best thing ever. Super soft, super hydrating and I like it a lot. 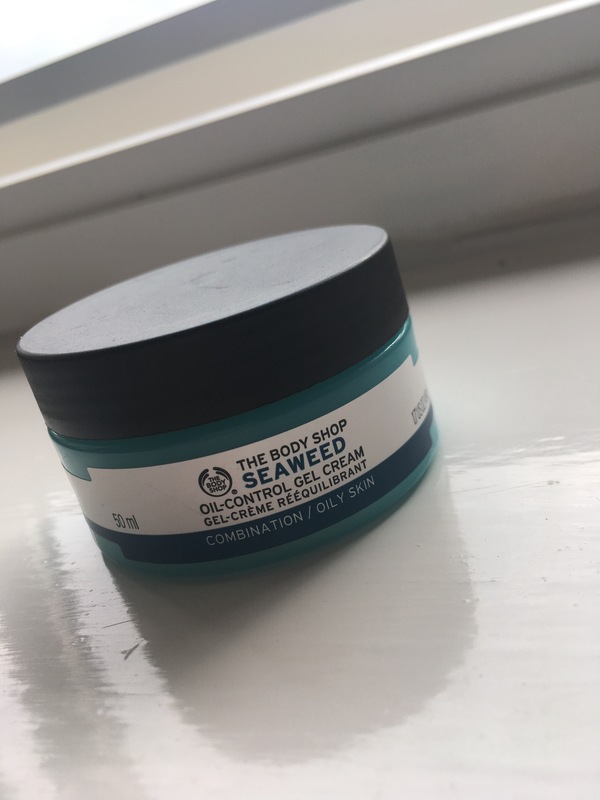 Over the summer I visited one of The Body Shop stores and come across the Seaweed face moisturiser. It’s said to be useful for oil-control and sensitive skin. It’s incredibly soft to use and feels so refreshing on my skin. It’s also such a fantastic base for makeup to sit on and I’ve been really enjoying this moisturiser. This retails for £12 and apparently it works so well with the Tea Tree Oil. 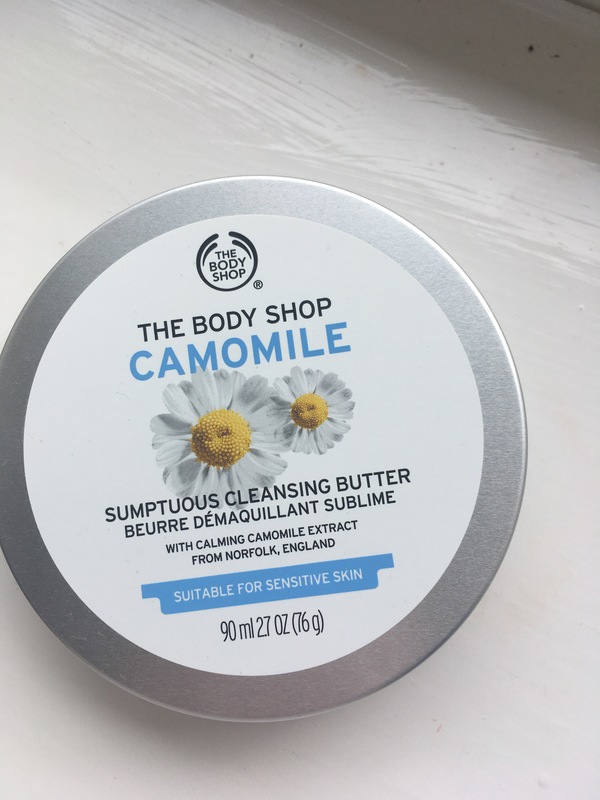 I also purchased the Camomile Sumptuous Cleansing Butter. I got this because of Zoella’s recommendations, but it also smells and feels fantastic. It’s supposed to be used as a gentle makeup remover. I haven’t used this yet because of my wrist but I’m looking forward to trailing it. This was £10 and is such a large tub, super inexpensive in my eyes. The final item I bought from The Body Shop is the British Rose Palette. This palette was £20, it consists of 6 eye shadows and 2 blusters. The palette ranges from day time tones and you can dress it up at night with a smokey look. It’s beautiful, the shadows blend so well and they’re so pigmented with little fall down. I like it a lot and totally recommend it. I purchased the L.A Girl Pro Conceal in Porcelain years ago and still love the product as much as I did the first time. 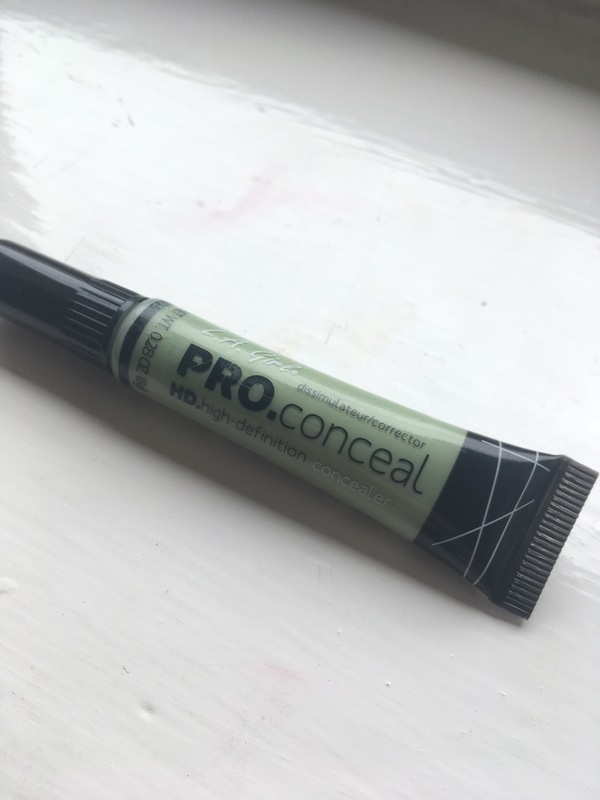 I thought it was time to try colour correcting so I got the L.A Girl Pro Conceal in Green to combat my blemishes and imperfections. I’ve read that it’s a dupe for the Urban Decay Naked Concealer in green, I haven’t tried the UD concealer but I can say I love the L.A Girl concealer and it’s more than likely going to be repurchased! I got mine from Amazon for £3 and it’s such a brilliant purchase. I also come across the L.A Girl Matte Flat Finish Pigment Gloss in Secret. Much like the Rimmel 107 it’s a dark red, wine like colour and is super mystifying. The biggest issue with it is that when it dries, it feels tacky and sticky on the lips. It also transfers onto everything, literally everything. It’s quite messy and leaves a slight stain. The colour is beautiful I just wish the formula was slightly better. However for £3.50 you can’t go wrong. My wonderful Matt picked me up a few gifts from Beauty Bay for our anniversary. 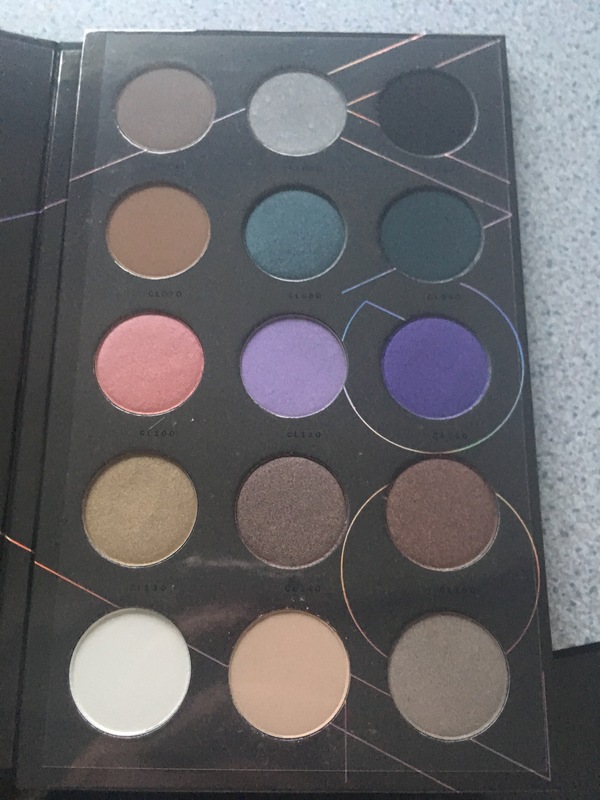 I’ve had my eye on the Zoeva Cool Spectrum Palette for a little while now and for £15 I couldn’t believe how cheap it was. 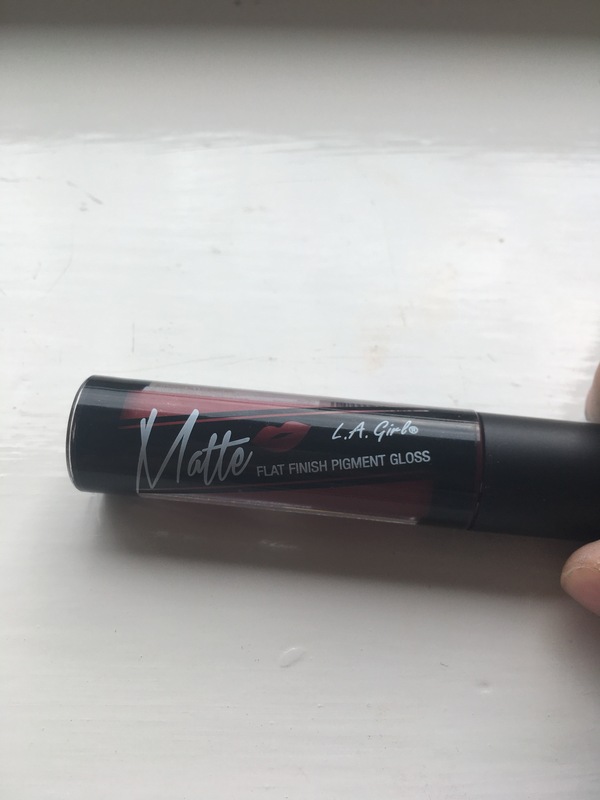 It has 18 colours from mattes to shimmers and includes natural daytime wearing shades and some that can spice up your eye look ready for a night out. The shadows are so pigmented and easy to blend. 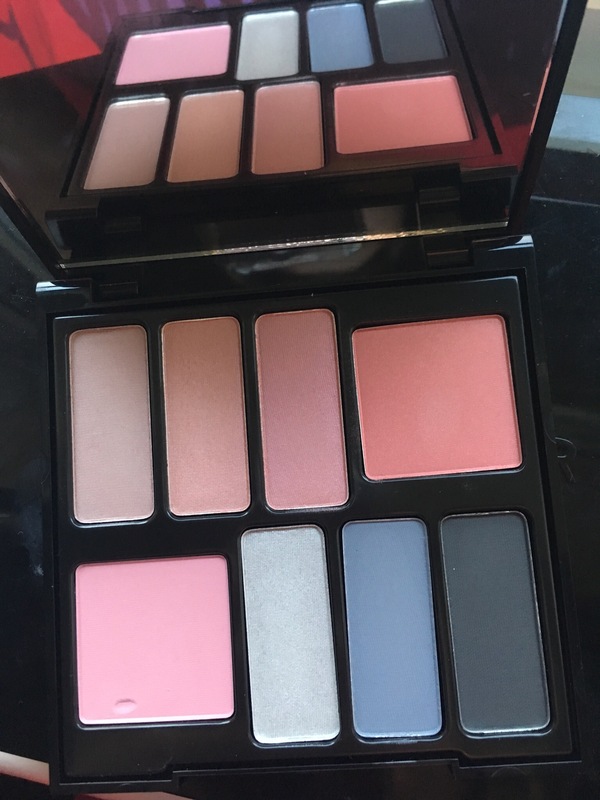 It’s a fantastic palette and I can’t wait to use it for a all over glam look. 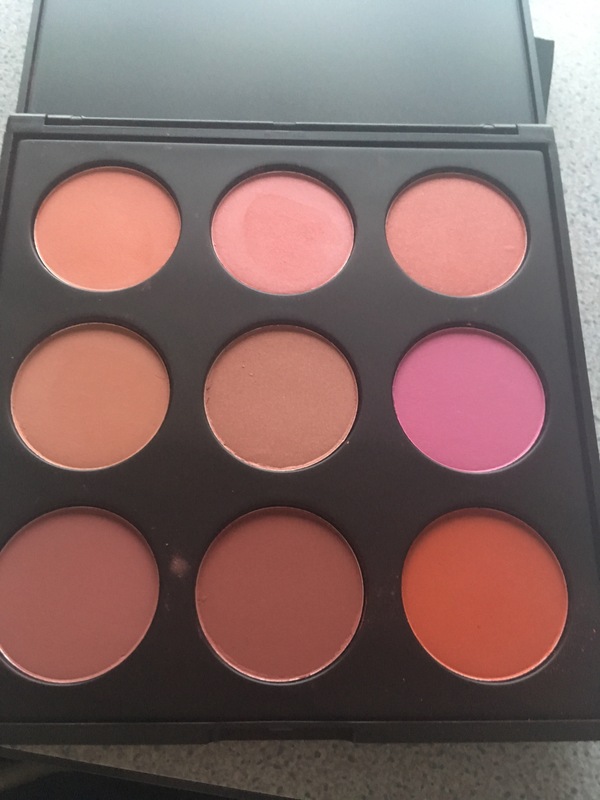 Matty also got me Morphe Brushes Blush Palette in 9B for 15.95. It’s beautiful, I’m totally in love with it. Blushes are something I never really buy but now I’ve got 9 large pans of blushes so I’m probably good for a little while. It’s a lot larger than I thought it would be and has a variety of mattes and shimmers. It makes me super happy! They’re so pigmented and the palette will go with so many looks. It’s gotten me a lot more excited for the Morphe 350 Eyeshadow Palette to be back in stock. 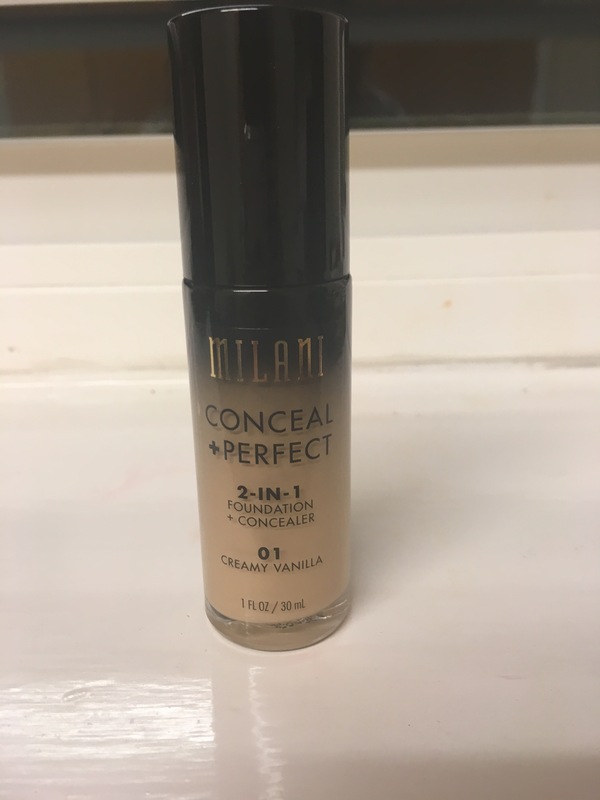 The final item Matt bought me is the Milani 2 in 1 Conceal and Perfect Foundation. I’ve had my eye on this foundation for so long and I never got around to getting it. It was £10 on Beauty Bay and I got mine in the shade Creamy Vanilla which is the what I believe to be the lightest shade. It’s such full coverage and has such a pretty, dewy finish. I’ve been really enjoying this foundation but I think I need to use it a bit more for my full review. This post is so long, if you’ve gotten this far well done! I hope you liked this post and found my reviews useful.